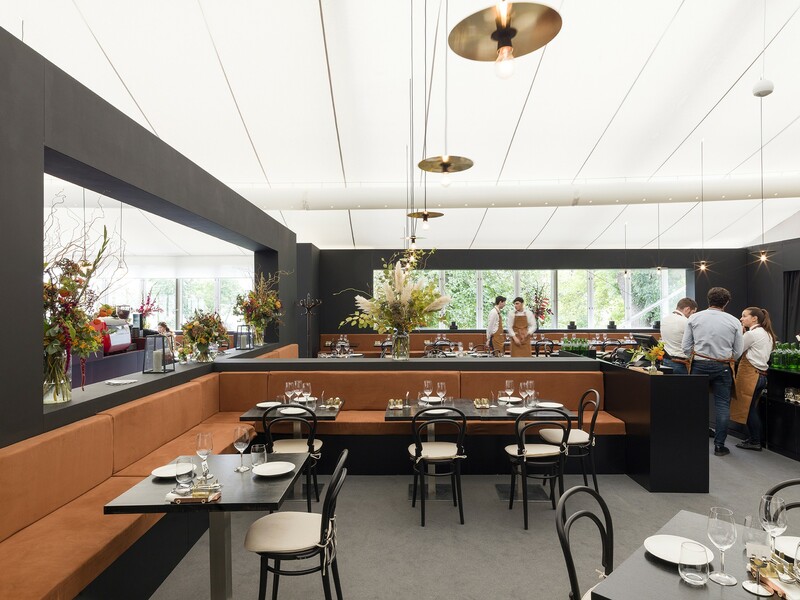 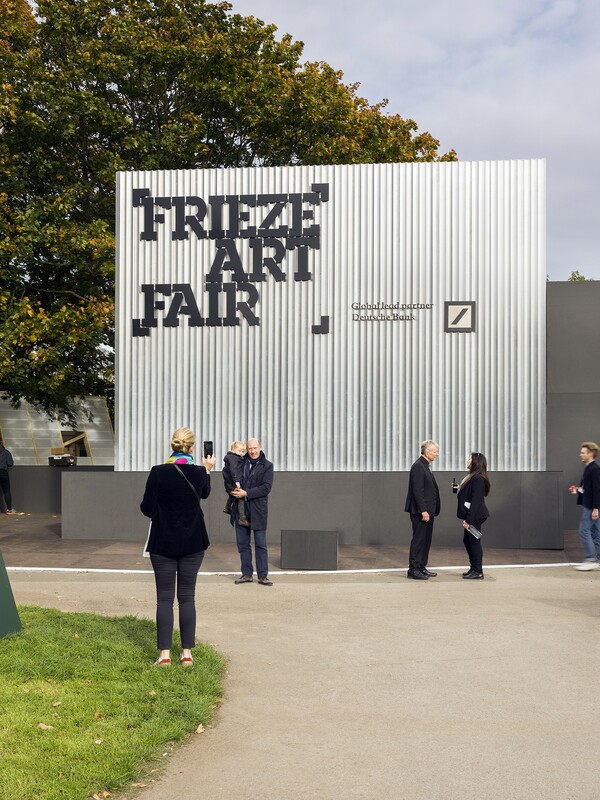 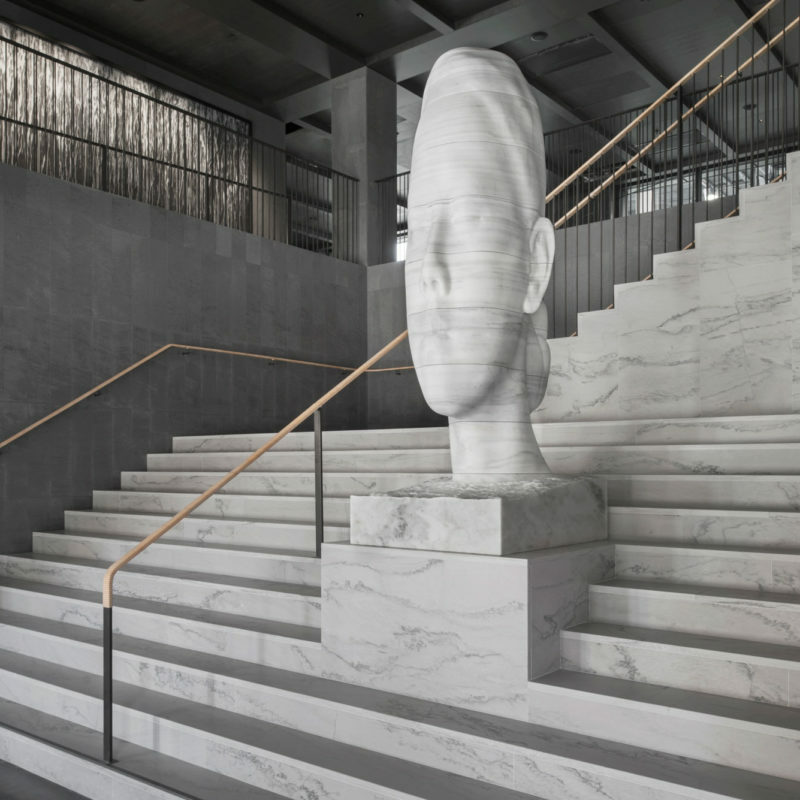 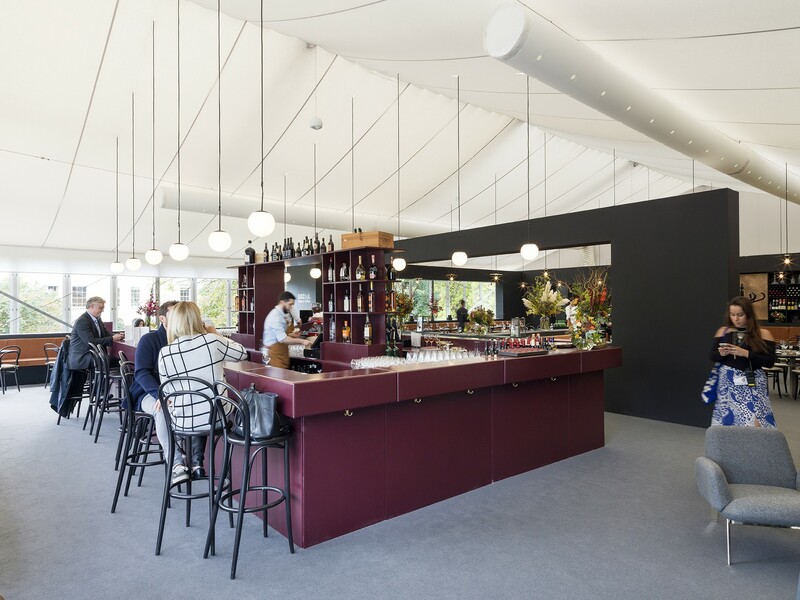 Universal Design Studio has designed Frieze London for the fourth consecutive year creating a series of new restaurant interior concepts and a reconceived entryway installation, highlighting the fair’s approach to sustainability. 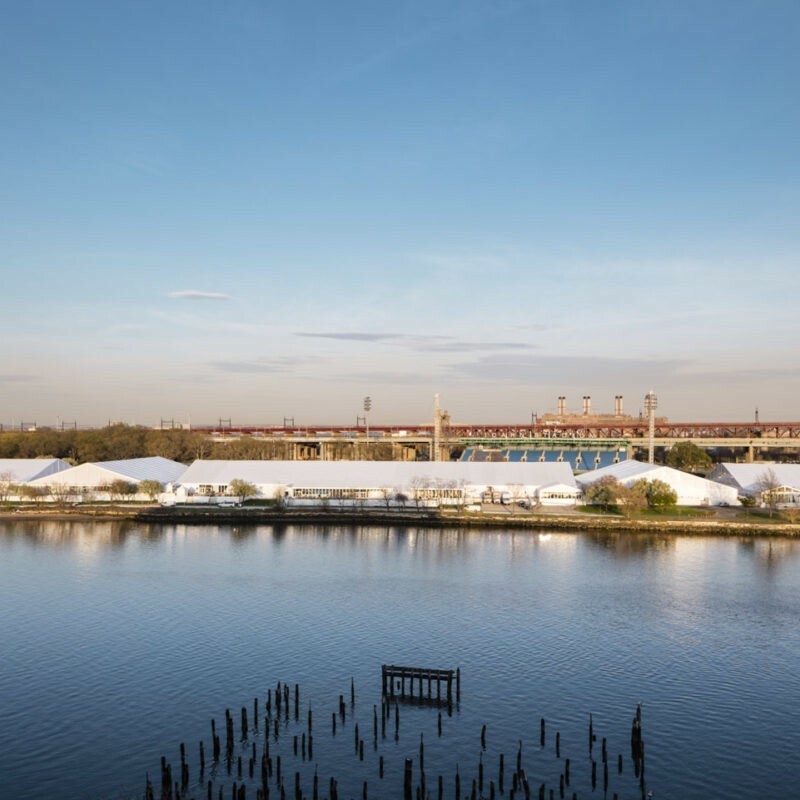 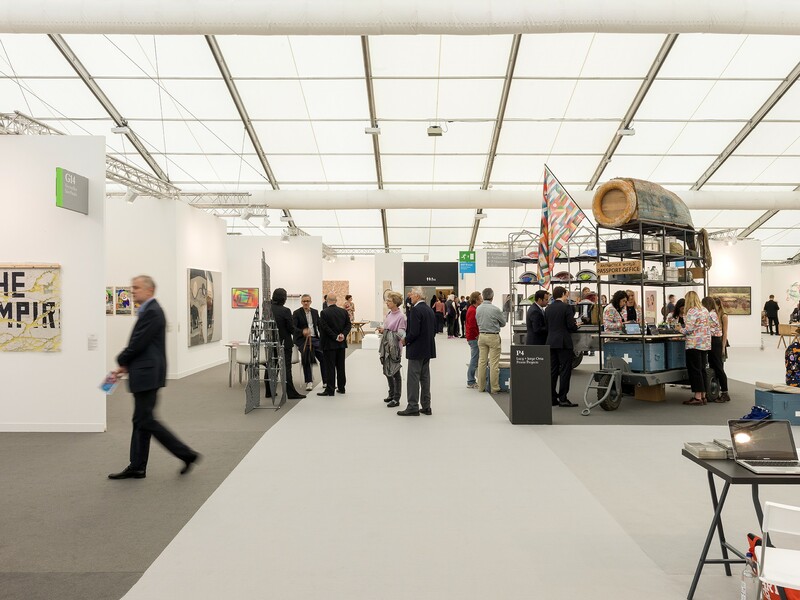 The Studio has masterplanned the art fair across 24,500 sq, using colour and tone to help visitors navigate the fair. 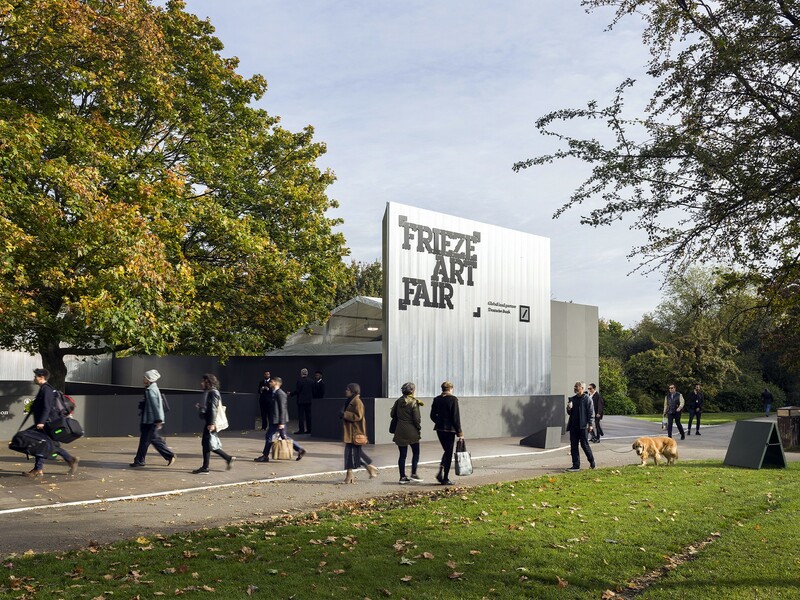 The reflective entranceway to the fair, one of a series of aluminium screens created using ‘borrowed’ materials from SAPA, are considered waste products due to micro tolerances in the material and were recycled after the fair. 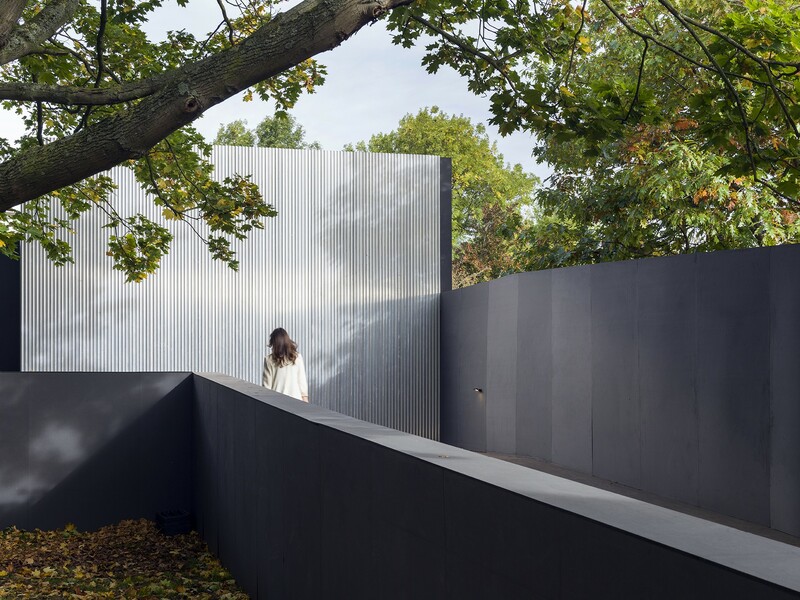 The use of aluminium can be recycled and reused infinitely without any reduction in quality. 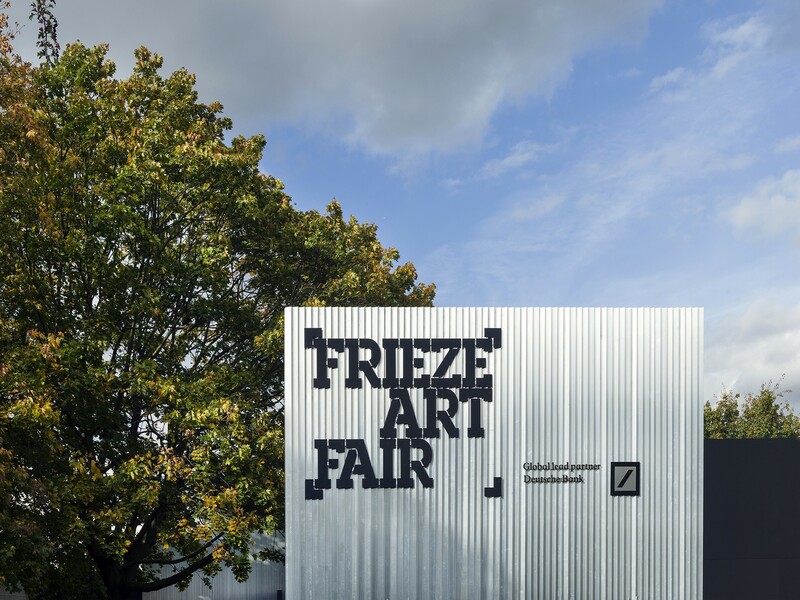 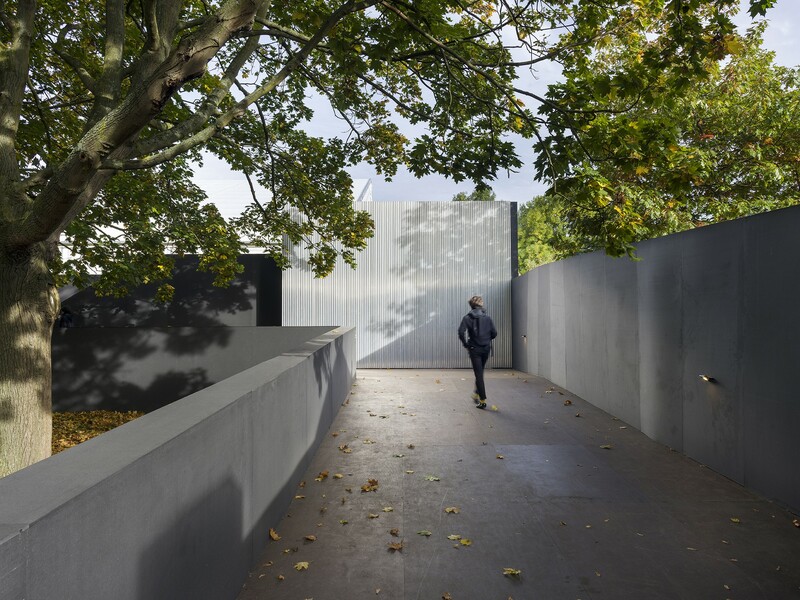 Constructed by art fabricator Joseph Waller Fabrications, the aluminium entranceway framed the external courtyard, which housed an art project by Donna Kukama as part of Frieze projects. 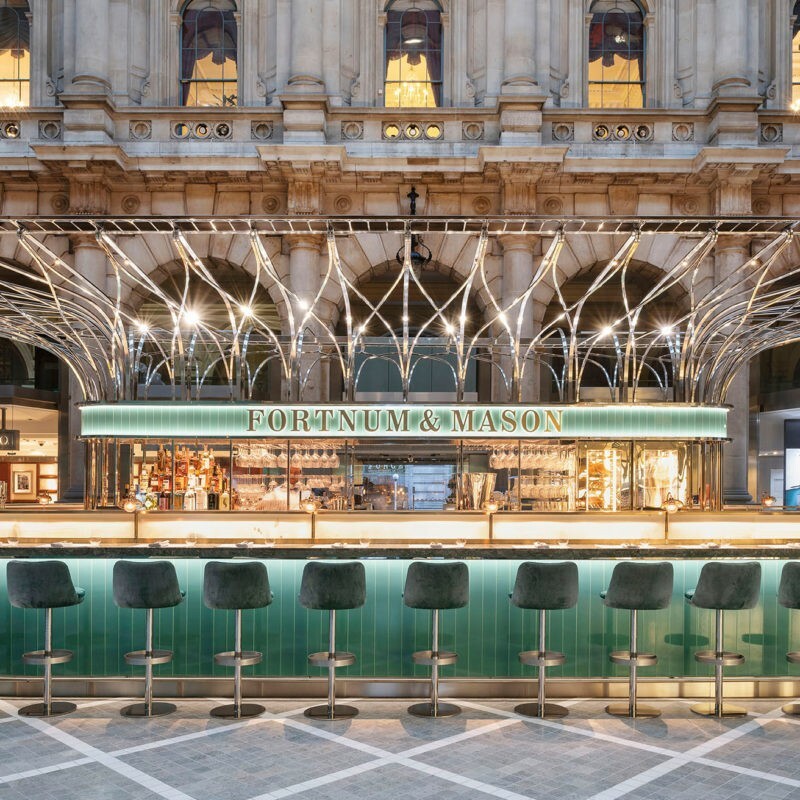 The remainder of the courtyard was built from a kit of parts of scaffolding and fibreboard. 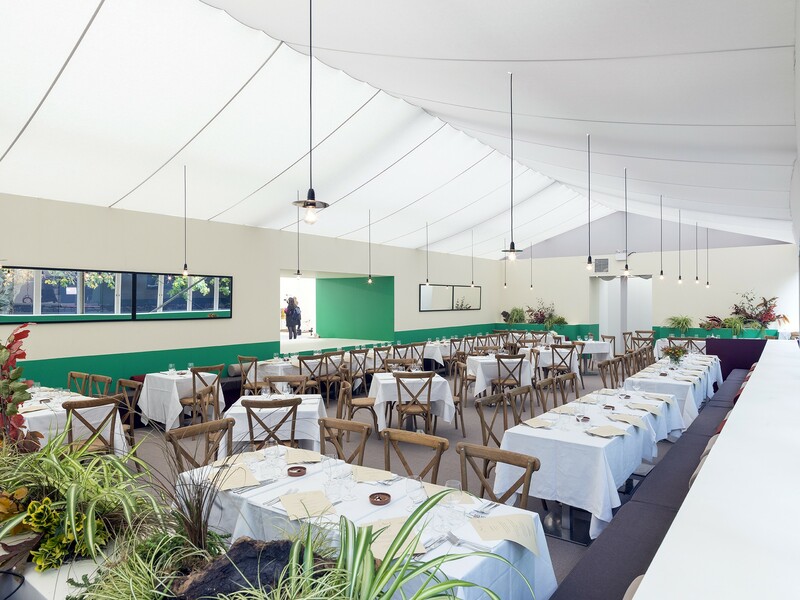 In addition, Universal re-conceived the restaurants’ interiors, which acted as social meeting points. 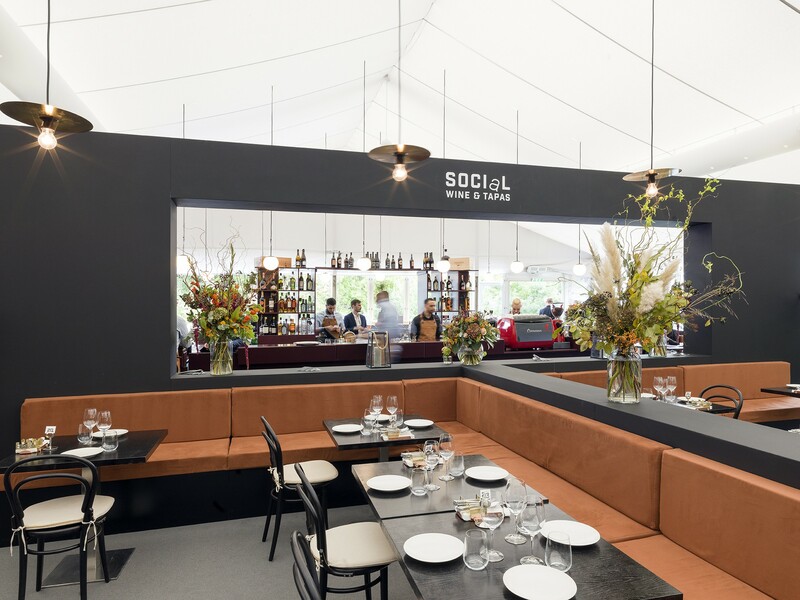 Joined by Petersham Nurseries, the restaurants included Jason Atherton’s Social Wine & Tapas and Moro. 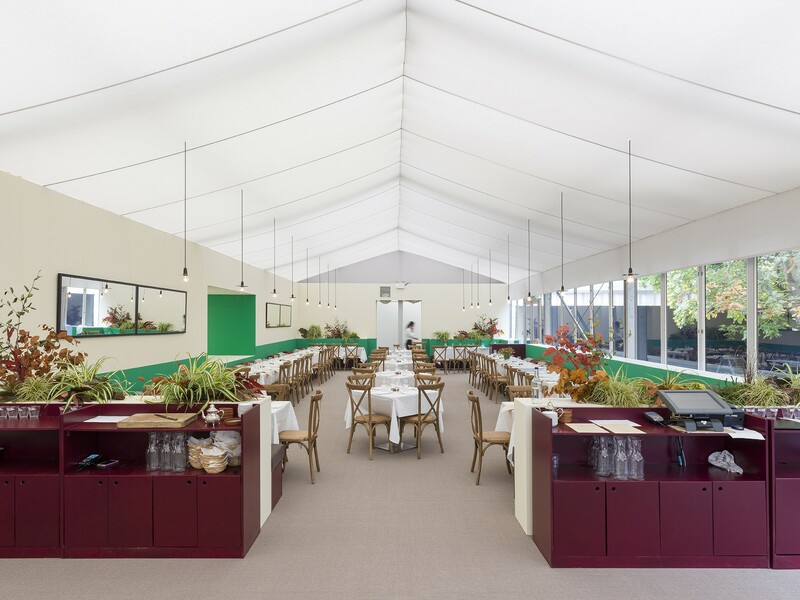 Each of the restaurants were designed using framing, enclosure and colour creating spaces which referenced their original restaurant sites. 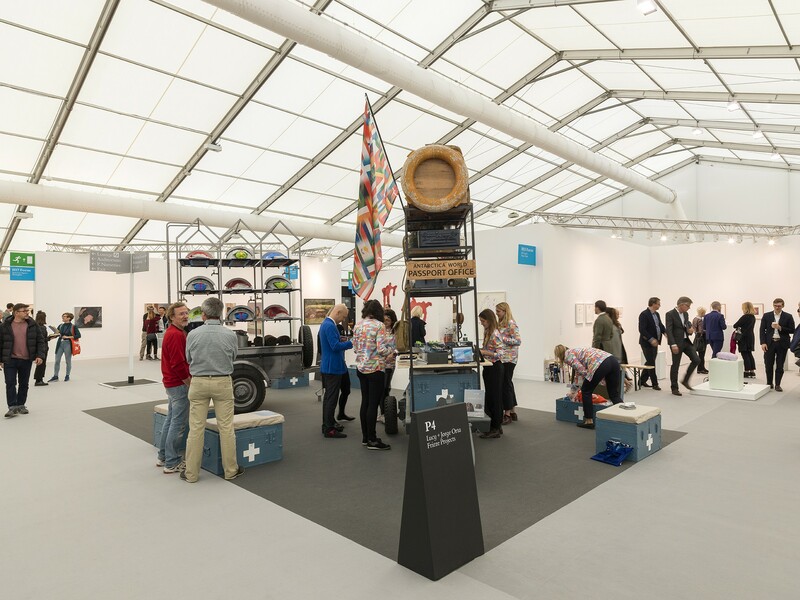 The event saw 62,000 people over the Fair’s five days and was the major event in London’s art calendar.